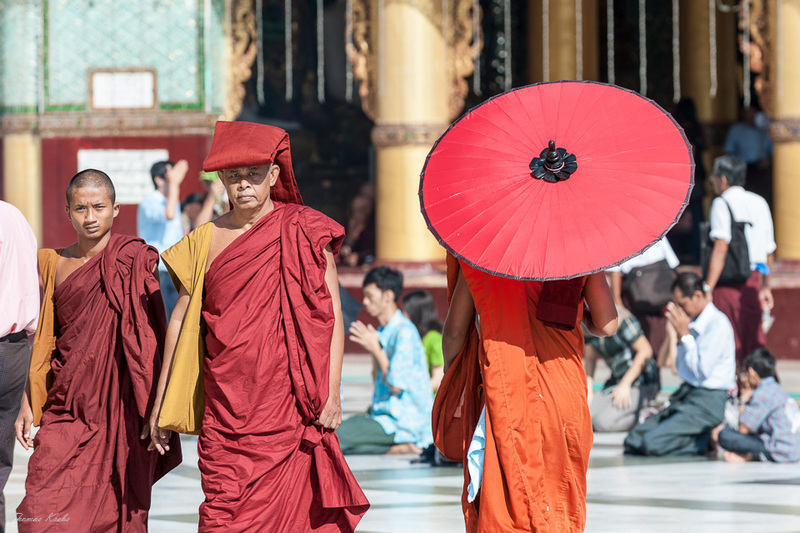 Monks in the Shwedagon pagoda. Fascinating multi-layered composition. There’s so much to see in just one shot! Ah, I know how it feels to want to be in the shade all the time.